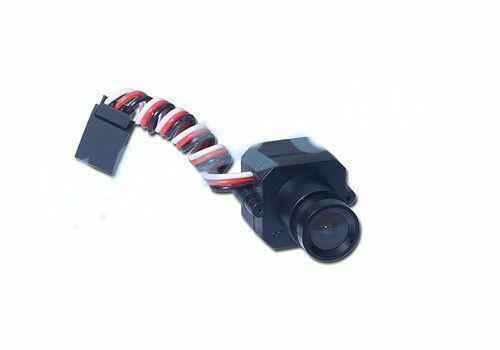 Produktinformationen "TAROT 600TVL FPV FPV Camera TL300M"
600TVL mini HD color camera (FPV aerial camera) using 2.8MM 120 degree wide-angle lens focal length of a full glass for mini200 / 250/300 through a small machine, FPV aerial aeromodelling field, monitoring. Products are small, built-in step-down module, can be directly connected 3S11.1V use lithium polymer battery. Weiterführende Links zu "TAROT 600TVL FPV FPV Camera TL300M"
Kundenbewertungen für "TAROT 600TVL FPV FPV Camera TL300M"
Camera with good image quality and good price. Camera is delivered with the cable at left side of image. This can be changed by opening back side with the tiny (~2 mm) Phillips screws and turning camera module inside (any 90 degree angle). Careful when reassembly not to squeeze cable. Lens is common screw lens (11.9 mm wide) and can be changed (fixed by tiny screw). Negative: There is no mounting points on camera, so it is difficult to mount camera. It is really missing that the housing has at least 2 holes for standard M3 machine bolts. It could have been made for practically zero cost by adding 2 ears with 3 mm holes to the back side part. The tiny 2 mm screws can not be used for mounting. For this 2 points down. I have bought this camera multiple times.